APSTAR-V is a high-powered C/Ku-band hybrid satellite based on SS/L's SSL-1300 platform, similar to APSTAR-IIR, which is currently on orbit serving the Asia-Pacific region. APSTAR-V has total beginning-of-life power of 10.6 kW with a separated mass of approximately 4,845 kg, and 9.5 kW of end-of-life power. The new spacecraft operates a total of 54 transponders, 38 in the C band at 60 Watts, and 16 in the Ku band at 141 Watts. Under the new contract, which requires SS/L's receipt of the necessary U.S. government export licenses, SS/L will also provide customary pre- and post-launch support services. APSTAR-V is scheduled for launch in late 2003, with APT procuring the launch vehicle and insurance. 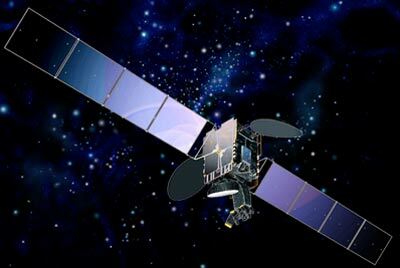 Because of export-license difficulties, Loral will own the satellite as Telstar 18 and will lease capacity to APT and sub-lease the orbital slot at 138 degrees east longitude over Asia. Based on SS/L's space-proven SSL-1300 platform, Telstar 18 / APSTAR-V is designed for a mission life of 13 years. APSTAR-V replaced the aging APSTAR-I satellite at its geostationary orbital position of 138 degrees East longitude. It provides Ku-band voice, video and data services to China, Hawaii, and East Asia, and C-band services to other parts of the Asia-Pacific region, including Australia and Hawaii. The new satellite is also used to provide space-based Internet backbone services for the main cities of Asia to and from the U.S. through Hawaii. The spacecraft did not reach the planned GTO, as the upper stage of the launch vehicle underperformed, reaching an apogee of only 21000 km instead of 36000 km. The spacecraft was put into a geostationary orbit by its thrusters, with even enough fuel left to exceed the planned 13 years lifetime. Loral Skynet → Telesat, APT Satellite Company Ltd.